Keurig was founded in 1992 by John Sylvan and Peter Dragone, both graduates of Colby College in Maine. Their goal was a simple machine to brew fresh cups of coffee, one at a time. In 1993, the company landed an important early investor – Vermont-based Green Mountain Coffee Roasters. Building a reliable single-serving coffeemaker proved remarkably difficult. It wasn’t until 1998 that the Waltham company developed a reliable single-serving coffee maker for use in businesses – a $900 unit that had to be connected to a building’s water system by a plumber. 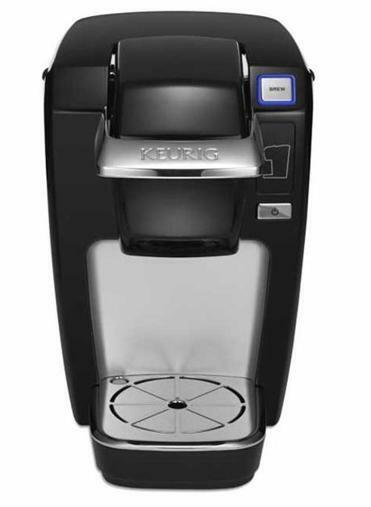 In 2002, Keurig began developing a plug-and-play version of the single serving machine for home use. The new coffeemaker went on sale in 2004, and despite competition from giant rivals like Procter & Gamble and Sara Lee, the Keurig machine soon dominated the market. In 2006, Keurig was acquired by Green Mountain in a deal valued at $160 million. The company continued to surge. By 2008, single-serving pods of Green Mountain coffee, known as “K-Cups,” were available at supermarkets throughout the US. And the company signed licensing deals with major coffee vendors, including Dunkin’ Donuts and Starbucks, to make their blends available in the K-Cup format. Keurig made substantially more money on coffee sales than on its coffeemakers. In fiscal year 2014, for instance, the company generated $822.3 million in revenue from coffee machines, but $3.6 billion from sales of coffee pods. In the same year, the company renamed itself Keurig Green Mountain. But Keurig faced a serious threat. The patents on the company’s technology expired in 2012. Now any company could put their own coffee into copycat K-Cups, without paying a dime in royalties. To fight back, Keurig began developing a new version of its coffeemaker, which would work only with company-approved coffee pods. Consumers rebelled against the new machines, which went on sale in September of 2014, and sales of Keurig coffeemakers fell 24 percent to $632.5 million in fiscal 2015. The company’s recent troubles have slammed its stock price. Shares of Keurig Green Mountain traded as high as $157 in mid-November of 2014, but fell as low as $38.90 one year later. As of Monday morning, the company’s shares were priced at $89.57, up 73 percent from Friday’s close on the Nasdaq Stock Market. In a bid to boost its growth, Keurig Green Mountain has launched a number of new products this year, including an extra-large K-Cup for brewing large cups of coffee; a line of instant single-serving soups from the Campbell Soup Co., and Keurig Kold, a machine that makes flavored soft drinks, including beverages from the Coca-Cola Co., which owns 16 percent of Keurig Green Mountain. But the introduction of the cold-drink machine has been slower than anticipated, and consumers have been underwhelmed by the product, also driving down the share price.